LEXINGTON, Ky. — A court battle continues over the right of a Christian business not to print t-shirts for a “gay pride” event in conflict with its biblical beliefs after the Kentucky Human Rights Commission recently filed an appeal in an effort to force the company to comply with its demands. 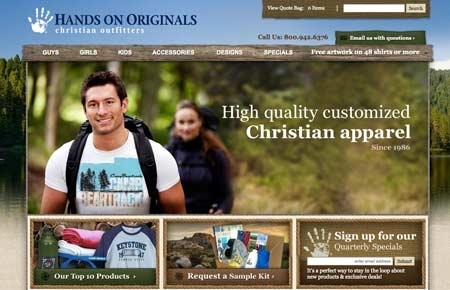 As previously reported, the Gay and Lesbian Services Organization of Lexington (GLSO) had wanted the Kentucky-based Hand On Originals–a company that identifies as “Christian outfitters” on the home page of its website–to print t-shirts for the 2012 Lexington Gay Pride Festival. When manager Blaine Adamson declined the order due to the company’s biblical convictions, GLSO filed a complaint with the Lexington-Fayette Urban County Government Human Rights Commission. But Hands on Originals filed an appeal with the Fayette Circuit Court via its legal counsel, contending that the ruling violated its constitutional right to freedom of religion and its freedom of expression. In April, the court reversed Munson’s ruling, noting that the company regularly does business with homosexuals, and so the decision not to print the shirts was not based on any person’s sexuality, but rather the message that the company would be forced to convey. As the Human Rights Commission has appealed the ruling to the Kentucky Court of Appeals, several religious rights organization are fighting back. It notes that even a self-proclaimed lesbian-owned screen printer shop in Kentucky has come out in support of Hands On Originals. University of Virginia Law Professor Douglas Laycock and Stoll Keenon Ogden PLLCS joined in the brief. The religious liberties organization Alliance Defending Freedom is handling the main arguments in the case.